Classically styled with quilted detailing. Heavy duty D-ring for seat belt attachment. Seat belt attachment fits most vehicles. This harness comes in black and is size: Large. 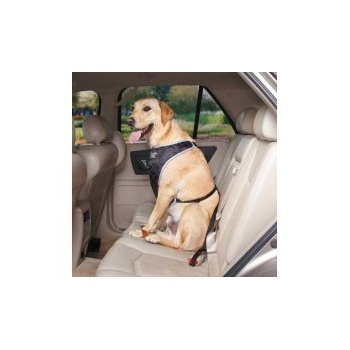 This padded, vest-style harness will keep your pet comfortably restrained in the car. Features the Guardian Gear stylish Fairfield design and a cosy fleece lining. Sizing guide: Measure pet's girth around the broadest part of the chest and add 2". This size fits girth 25"-35". Attaches easily to fit most vehicles. 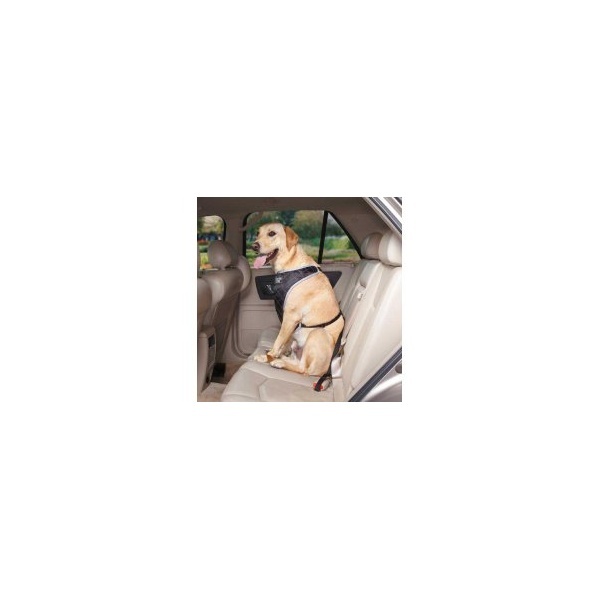 Please note that this harness DOES NOT fit Saab or Volvo models, or Ford Explorers.